Emmanuel Merisier’s paintings reflect and meld his Haitian cultural heritage with a lifelong passion for studying and drawing inspiration from 20th century master artists including Picasso, Matisse, Chagall and Beckmann. His colorful and dynamic canvases represent a truly unique combination of modernism and Haitian primitive style. Merisier’s favored subjects depict Haitian society, politics, spiritualism and folklore, as well as interpersonal relationships - particularly those between the sexes. Born in Haiti in 1929, he gravitated toward the arts and joined the Foyer des Arts Plastiques and Brochette Gallery. In 1968, at the age of 35, Merisier emigrated to the United States, settling in the New York City area. Subsequently, Merisier, regularly attended classes at the Art Students League and, from 1977 - 1981, studied at the Visual Arts School in New York. 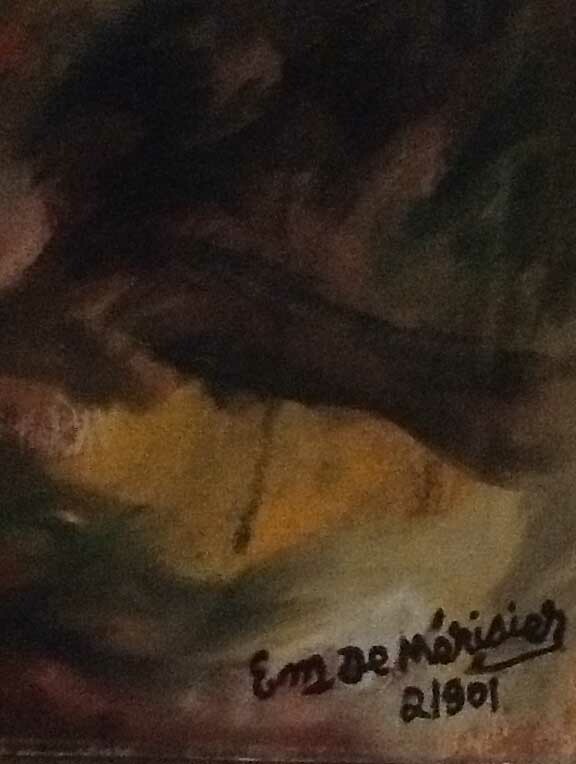 Currently at the age of 84, Merisier continues to explore the limits ofhis creativity. Merisier's work will be on display at the Waterloo Center for the Arts Forsberg Riverside Galleries through September 29, 2013. An artist reception will be held September 26, 2013 at 5:30pm.